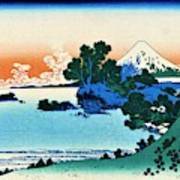 Top Quality Art - Mt,fuji36view-soshu Shichirigahama is a painting by Katsushika Hokusai which was uploaded on September 2nd, 2018. (葛飾 北斎：October 31, 1760 – May 10, 1849) was a Japanese artist, ukiyo-e painter and printmaker of the Edo period. Born in Edo (now Tokyo), Hokusai is best known as author of the woodblock print series Thirty-six Views of Mount Fuji (富嶽三十六景 Fugaku Sanjūroku-kei, c. 1831) which includes the internationally iconic print, The Great Wave off Kanagawa. 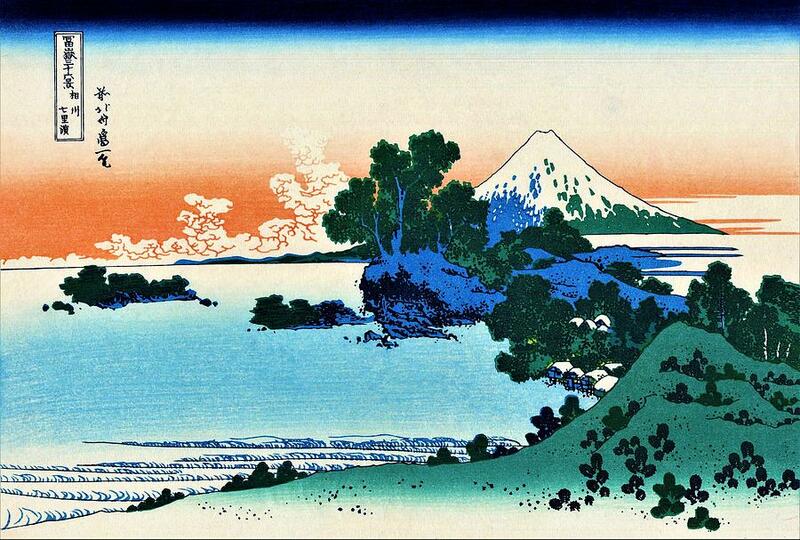 Hokusai had a long career, but he produced most of his important work after age 60. 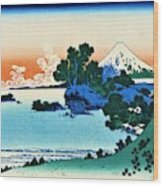 His most popular work is the ukiyo-e series Thirty-six Views of Mount Fuji, which was created between 1826 and 1833. It actually consists of 46 prints (10 of them added after initial publication). In addition, he is responsible for the 1834 One Hundred Views of Mount Fuji (富嶽百景 Fugaku Hyakkei), a work which "is generally considered the masterpiece among his landscape picture books." His ukiyo-e transformed the art form from a style of portraiture focused on the courtesans and actors popular during the Edo period in Japan's cities into a much broader style of art that focused on landscapes, plants, and animals.